Our highly-trained professionals are tops in their field for dependable high-quality service! We replace bent or damaged garage door panels to get your door looking great again! We have your best interest in mind. Read all about our repair and replacement services here. 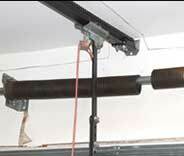 Our company is equipped and ready to handle any garage door spring related issues you may be facing. We will install, replace, adjust and maintain springs for you. 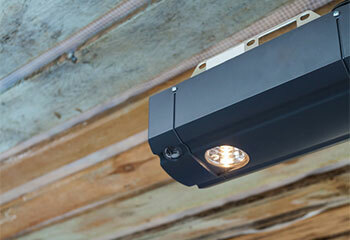 Count on us if you need your garage door opener installed safely and professionally. Click here to find out more about our range of repair services. When it comes to keeping your garage door safe, reliable and secure - we are the team for the job. Read more about our maintenance service here. In addition to garage doors, our company offers a range of services, products, and solutions for gates as well, from openers to intercom systems. Read all about it here! Whenever you find something wrong with your automatic door, there's only one local team to call. Naperville's leading garage door experts are nearby, ready to undertake any type of maintenance or replacement project Woodridge homeowners (and those who live anywhere in the surrounding areas) may require. There are more reasons to call us, of course. Finally decided it's time to replace your old rickety wooden door with a strong and powerful steel one? Want to ensure the new door you get is made by top of the line brands like Clopay or Windsor? Well, that's a service you and every other resident of the Warrenville area can also count on us for. Seeing as a garage door is a complex system comprised of both mechanical and electrical components, there's a wide range of potential issues that it can experience. Finding out what's wrong isn't a guessing game. It takes experience and troubleshooting skills to determine exactly where the problem lies. More often than not, you may find that the electromechanical motor – otherwise known as the opener – is in some way responsible for the problem. From damaged motor gears to circuit board glitches and various other issues, it can be hard to pinpoint which part of the unit is malfunctioning. Well, it can be hard, but not when you contact the nearest garage door service technicians to you, that is. If you live in Lisle or somewhere close to Downers Grove, you can leave any type of opener problem to your local repair experts, i.e. – us. Apart from fixing and maintaining these complex systems, our experts also perform complete replacement jobs and new door installation projects. Residents of Winfield and all those living nearby have someone to rely on when the time comes for them to replace their old system, or to have a new one installed. You won't have to make all the decisions on your own, of course. Let us help you decide between the different available materials by providing you with information about the different pros and cons of wooden garage doors vs steel or aluminum ones. It won't be a guessing game, no sir, or ma'am. You'll get answers to all your questions, including what R-value (insulation level) your new door should probably have and what type of automatic opener can go with it. Don't worry, though, this won't take long. And after all the deliberations are over, that's when our team will get to work. Rest assured that you'll be completely satisfied with how your new door looks and works by the time our technicians finish installing it. 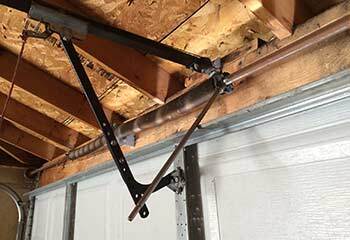 One of the most common problems a garage door can suffer from is a broken spring. Unfortunately, the fact that it's common doesn't make this issue negligible; the very opposite, in fact. These units are what counterbalances the weight of the heavy panels, and without all of them in tip top shape, you'll find that opening the door would be extremely hard, and even very dangerous. Some systems only have one torsion springs even, so needless to say, if it breaks unexpectedly, you'll need someone to perform emergency repairs ASAP. 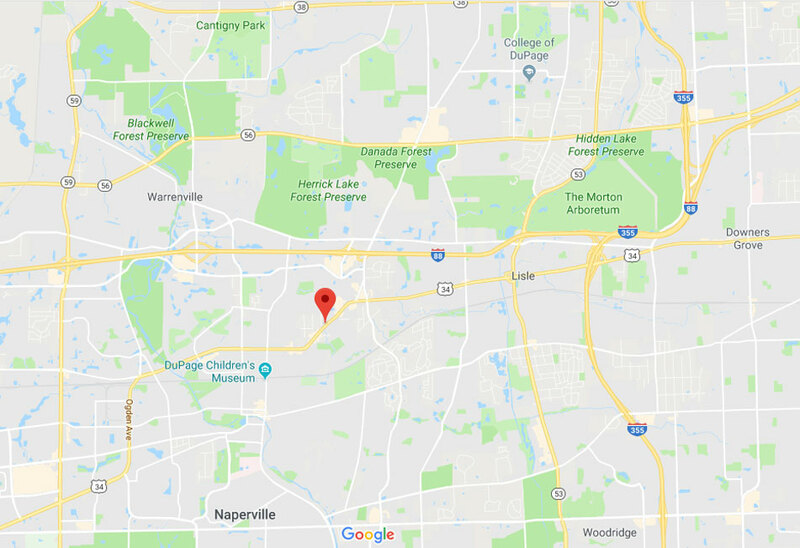 Well, if you're anywhere close to Wheaton, you just found that someone – Garage Door Repair Naperville. Just leave everything to us; simply give us a call or use our online scheduling system to book an appointment, and then lay back and watch as professionals quickly get your door back on track. 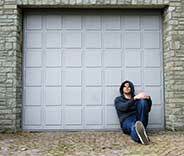 Have your garage door repaired today by our experts. We have been providing professional garage door installation and repair services to customers in the local area for decades. We offer same day services all over Naperville and the nearby area. If you need any kind of assistance with your door, we are at your service! Click on the button below to schedule your service. 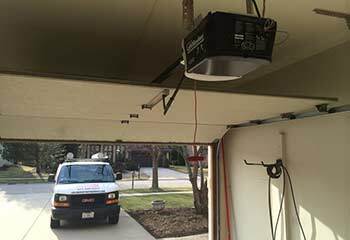 Learn about our most recent garage door projects in Naperville. From replacing broken springs to repairing openers, we do everything for our customers. This customer wanted an effective yet affordable new opener. We had the perfect one in mind. Learn more here. This customer didn't know why their door kept reversing – we helped her understand and then we fixed the problem. Learn more here. If you live in Naperville and would like a gorgeous automated garage door installed, give us a call! This client is so happy with the results! 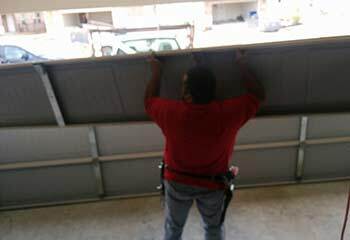 Our client’s sectional garage door was damaged in a storm. Luckily, she lives in Naperville and because we’re the best in town, she gave us a call! 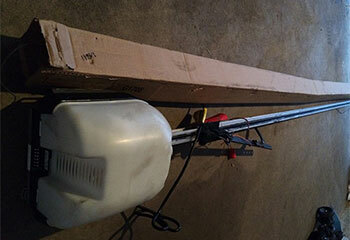 We replace garage door springs, just like we did with this client – read all about it here. We’re the company to call if you live in Downers Grove or the nearby area. We had a really great experience working with your company! You offered the perfect door for our needs and we really appreciate the great installation. Thank you! Fast response, fair prices, and my garage door is working perfectly well now. Thanks! Thank you for the quick and professional spring replacement service! I will count on your garage door company for repairs from now on.